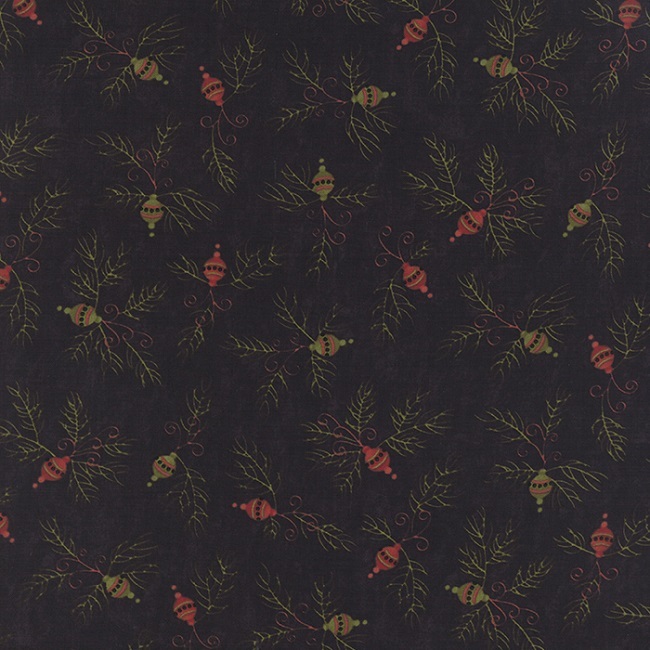 Moda Delightful December ornaments and pine bough 17879-14 Ebony. Hand-drawn plaids and stripes are paired with snowflakes and sheet music while tiny berries and vines synchronize with pine boughs and winter blooms. Rendered in colors titled Berry, Pine, Eggnog and Ebony, this holiday collection from Sandy Gervais will certainly create a delightful December celebration for everyone. 44/45" 100% cotton.